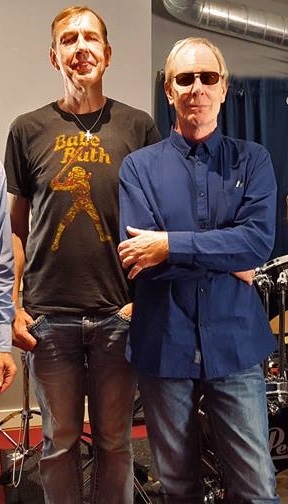 ESP are a temporary (maybe one-off) collaboration rock project with musicians from King Crimson, Van der Graaf Generator, Procol Harum, GTR, Landmarq, Lifesigns and more ... advocated by Tony LOWE (guitars, voices) and Mark BRZEZICKI (drums, percussion, voices) in 2015. The other collaborators are as follows; David JACKSON (saxophones, flutes), David CROSS (violin), Steve GEE (bass), Phil SPALDING (bass), John YOUNG (keyboards), John BEAGLEY (voices), Pat ORCHARD (guitars), Alison FLEMING (voices), and Yumi HARA (electric harp). Such a gigantic rock commune have finally launched a creation titled "Invisible Din" in the following year.